Carl Denti was born in Kansas City, Missouri, in 1946. He was led to the Lord at an early age by the faithful witness of his maternal grandmother, Mary, and his mother, Jerline. Carl married the delight of his life, Patricia, in 1966. Patricia and Carl have two daughters, Renee and Michele, two grandsons Sean and Christopher, and one great-grand daughter, Presley Marie. Though the Lord came into his heart early in life, Carl’s walk with the Lord did not grow in the grace and knowledge of Christ until 1971. God, in His wonderful grace, brought Carl and Patricia to the ministry of Chester McCalley at Beth-Haven Church in April of 1971. It was through the teaching ministry of Pastor McCalley that the depth of the riches of the grace of Jesus Christ and the living and powerful Word of God became a potent, life-changing dynamic for Carl. Pastor McCalley, who held B.A. and M.A. degrees in Biblical languages, exposed Carl to the study of God’s Word in the original languages. Pastor McCalley's teaching of God's word from the original languages, gave Carl a more precise view of his Lord and Savior. It set a flame for the truth revealed in scriptures in Carl's heart. That flame continues to burn. He studied elementary Greek under Pastor McCalley, who became his mentor and life-long friend. 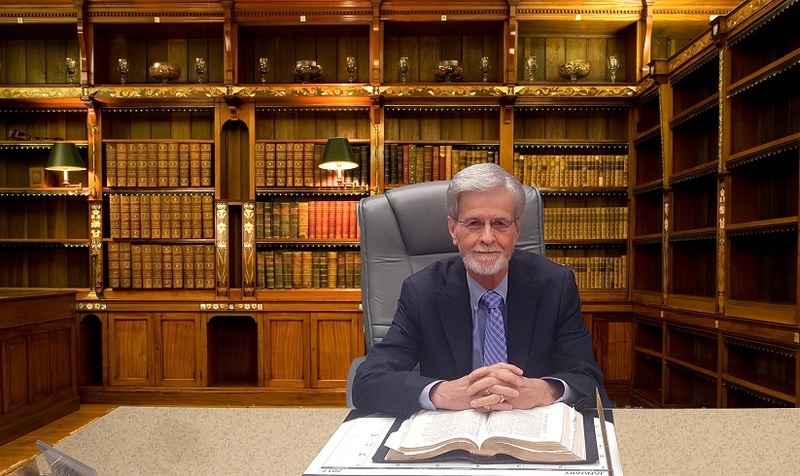 Carl continued to pursue the study of the Biblical languages by completing two years of New Testament Greek and one year of Biblical Hebrew through Moody Bible Institute correspondence program. Carl was ordained to the ministry at Beth-Haven Church, Kansas City, Missouri, in 1976. Shortly thereafter, he was called to pastor Believers Bible Church in Overland Park, Kansas. Carl served as the pastor of that fellowship until 1980, when he was called to serve the Lord in Phoenix, Arizona. He and his family moved to Phoenix and Carl become the pastor of Beacon Bible Church. In 1984, Carl resigned from the ministry and along with his loving wife, Patricia, opened a printing and copying business. Carl, Patricia and their daughter Renee continue to operate their printing shop. Carl began a home Bible study in 1993. By 1995, the study had outgrown their home and the believers in the study were persuaded that the Lord was calling them to establish a local church. In The Word Bible Fellowship was formed in 1995, where Carl continues to serve as pastor.